Some of the most innovative aspects of the industry are not taking place on the gym floor or on the walls, but behind a computer screen. Here’s what each manager should be doing right now to get the most out of the Internet. USA Climbing has entered into a multi-year programming agreement with ESPN to livestream and televise three Championship Events. BKBX could integrate technology to an extent never before seen in the climbing industry. El Cap announced they will begin construction on two new climbing, yoga and fitness facilities in the next two years. 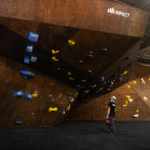 The idea of portable walls is not new, but Nomad Bloc shows that the idea still has relevance in the age of gyms. 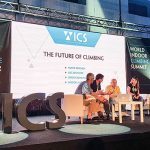 Rock and Ice announce a new magazine dedicated to indoor climbing. And it's free. 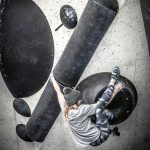 A climbing gym is entering the Midwest market by rolling out a bouldering facility complete with café and taproom in downtown Indianapolis. 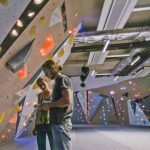 California-based bouldering gym is staking its claim to New York in a big way. Rather than construct an entirely new gym, there’s always the option to utilize a pre-existing facility with historic ties to a given community. Philadelphia is one of the east coast's hot spots with five new climbing gyms either opening in 2018 or in development for 2019.